Poster design by Orla Craig. 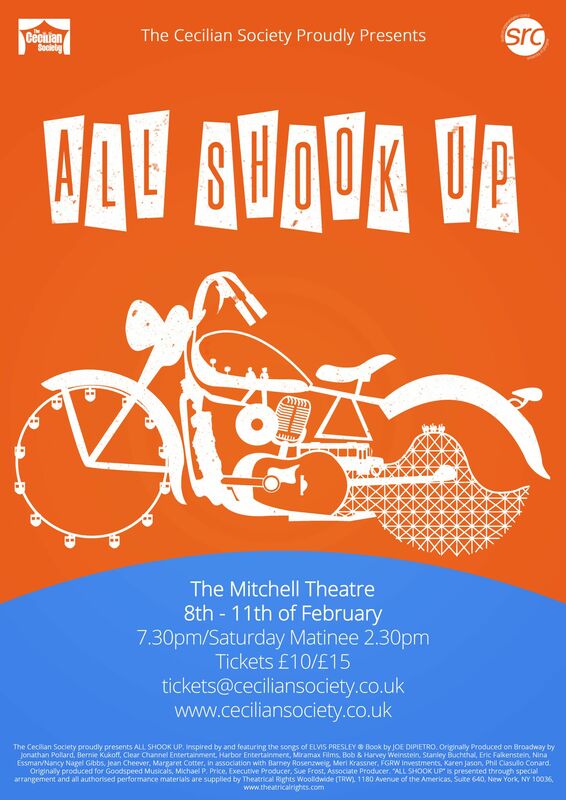 Set in a non-descript town in the USA in the 1950s, the story of All Shook Up is a funky fusion of Twelfth Night and Elvis’ greatest hits. Mayor Matilda has declared the Mamie Eishenhower Decency act, where noone around can rock out! But little does mechanic Natalie know that when she meets wheelin’ dealin’ roustabout Chad, her life is about to get All Shook Up! In this story of love, music and most importantly Elvis, our audience had their feet movin and their hips a’shakin!